Conservative Wordsmith ™ Susan Baldwin is a popular and respected conservative Internet author and blogger in the blogosphere, known for her honest journalism, scholarly research, and womanly wit. She is considered to be a gifted, prolific, and relevant author by her peers and readers. 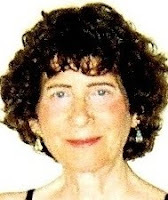 Conservative Wordsmith ™ Susan Baldwin's unique conservative viewpoint prompts her to explore and write about a variety of topics, including news, politics, American culture, values, art, religion, history, poetry, literature, books, movies, and music. "My Conservative Wordsmith Weblog was, for a considerable time, the #1 conservative political blog in America on Townhall.com's Top Ten List and in Los Angeles, California on Conservative Talk Radio KRLA's Top Ten List. My Conservative Wordsmith Weblog at Townhall.com received 18,000 visitors within the first 8 months! I personally invite you to visit my first Conservative Wordsmith Weblog, and take the time to read some or all of my many published posts." I am excited about my new Conservative Wordsmith ™ Official Website! I personally invite you to bookmark my site and become a regular follower.